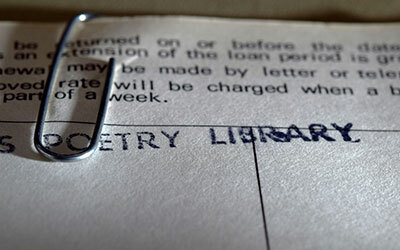 The Northern Poetry Library is a major contemporary poetry resource, located in the heart of Northumberland. Part of the Public Library system, NPL is open to all - do drop in! The Northern Poetry Library is the largest collection of post-World War II poetry in England outside London, home to constellations of finely-tuned, often moving and sometimes unnerving words. There are over 15,000 volumes, including first editions, signed copies and runs of contemporary and back issues of poetry periodicals, as well as diverse and extensive junior and anthology sections. The collection spans continents and languages. When we find ourselves lost for something to say, a poem speaks a thousand words, and many of us turn to poetry at key moments in our lives. Verse for weddings, christenings and funerals has always been popular at NPL. From world poetry and political verse, to cowboy poetry and poems penned by veterinary surgeons, the library's unique anthology collection contains the serious, the absurd and the downright unexpected. Children love the energy, sound and wordplay of poetry, and the NPL Junior collection houses great work by well-known authors including Michael Rosen, Carol Ann Duffy and Ted Hughes. There are colourful and funny poetry books with hundreds of kinds of poems: poems that rhyme, poems that are strange shapes, poems that sound how they look and poems that look at an array of subjects including sport, animals, feelings and emotions. Before a poet produces their first full collection of poetry they will probably have published single poems and sequences in poetry journals and magazines. 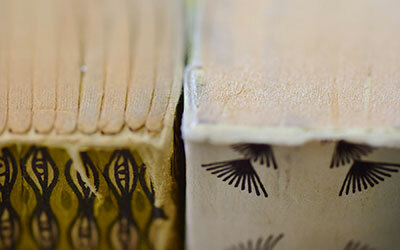 The periodical section of NPL is a showcase for new work, while the back issues of older titles offer a unique historical snapshot of grassroots publishing, literary activism and poets cutting their teeth.